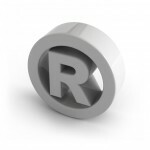 What a Trademark Attorney Can Do For You and your business. Kunkle Trademark and Legal can help you screen and file your trademarks. Trademark Attorney Ken Kunkle can assist you regardless of if your mark is currently in use, or you want to reserve it for the future. Whether you need a state, federal or foreign registration, Ken can guide you through the selection and registration process. Trademarks are a vital part of any businesses’ effort to grow and prosper. While closely associated with the brand of a company, a trademark can either be a formally registered or acquired through use. whether they are for goods or for services, trademarks can be a single word, a phrase, a slogan, and even a color, sound or shape. Trademarks are valuable assets and should be properly managed and protected; without proper use and management you can lose the exclusive right to a mark and its accompanying public goodwill. A trademark lawyer can help most businesses make solid decisions concerning these valuable assets. Kunkle Law PLC is a boutique law firm concentrating on trademark and copyright issues. The firm’s owner, Kenneth Kunkle, prides himself on his personal service and ability to help his clients build, maintain and protect their brands. It is important to Ken to know each client, their industry, and their unique situation. He doesn’t take a cookie-cutter approach like some trademark companies. Ken makes sure his clients understand the law for themselves. If you know what the law is, you can make the best decision possible for your business and brands.